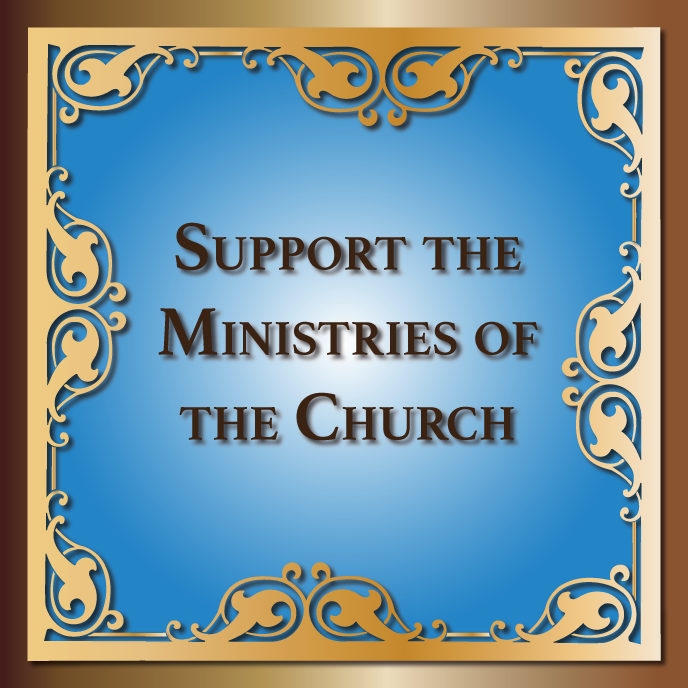 Ukrainian Orthodox Church of the USA - Ukrainian American Veterans Projects Continue! Ukrainian American Veterans Projects Continue! 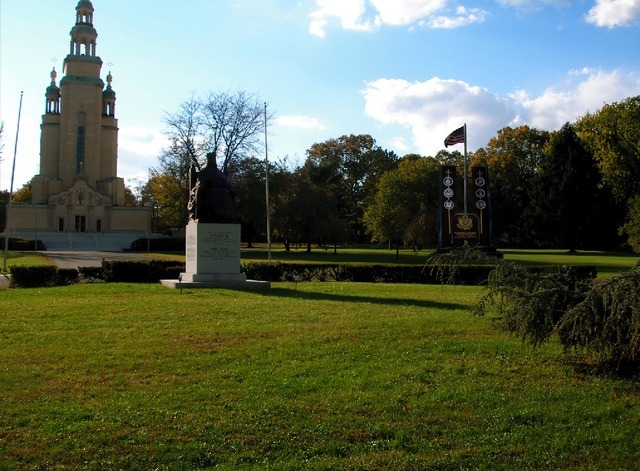 The blessing of the prominent plot of land on which the UAV National Monument will be erected at St. Andrew’s Cemetery in South Bound Brook, New Jersey, took place on St. Thomas Sunday, April 11, 2010, at 2 pm. 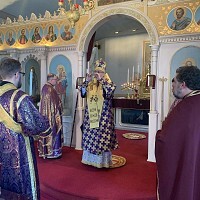 Concelebrated by His Eminence Archbishop Antony, His Grace Bishop Daniel of Ukrainian Orthodox Church USA, and clergy, the blessing ceremony was witnessed by UAV members and the general public. The event was another step forward to realization of this iconic beacon that will honor all Ukrainian American men and women who served in the US Armed Forces throughout the centuries. The Ukrainian American Veterans, Inc., are very grateful to Archbishop Antony for his continuous support from the onset of this project and to the Ukrainian Orthodox Church USA for donating the land. It is our duty to make this project a reality, but we cannot do it alone – we need your support. We are grateful to those who have already contributed, and we humbly thank those whose contributions honor the memory of loved ones. And so, we again appeal to the Ukrainian American community to help us honor American veterans of Ukrainian heritage who deserve to be honored, recognized, and most of all, remembered. While serving our country, many made the ultimate sacrifice for the freedom, democracy, and pursuit of happiness we enjoy as Americans. It is on their behalf we ask that you donate generously and help us transform the vision of this monument into reality. Ukrainian American Veterans, Inc., was founded in 1948 by World War I and World War II veterans of Ukrainian descent who served in the US Armed Forces and were honorably discharged. Although some posts established by Ukrainian American veterans were formed prior to 1948, they were not organized on the national level. 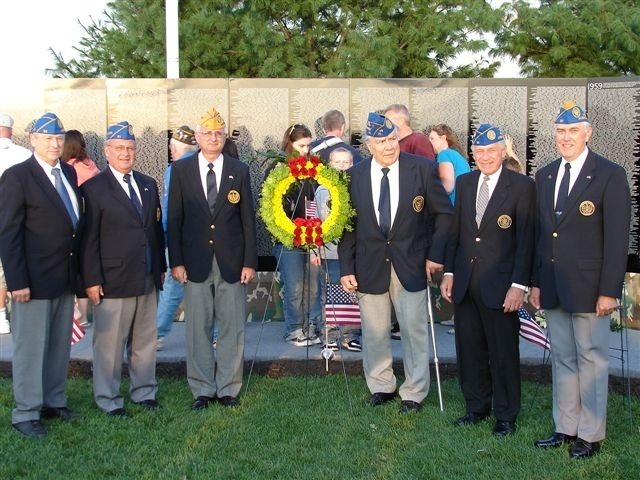 They were created because these veterans felt the need to be identified as veterans from a specific ethnic group, thus ensuring that the designation “Ukrainian American veterans” was represented in the annals of US military history. Most of these pre-1948 posts became an integral part of the UAV. However, such recognition was hard to achieve and ethnic identity was hard to prove. 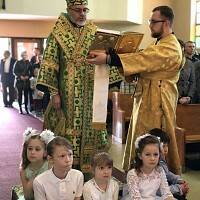 The complexity of the history of Ukraine, which was marked by occupations and enslavement by other nations, created an “identity crisis” for Ukrainian immigrants to the United States, who were haphazardly and inaccurately assigned new nationalities—Russian, Polish, Austrian, Hungarian, Soviet, etc. American casualties during WWII were high; more than 400,000 Americans who served on the European and Pacific fronts perished. But because of the immigration policy of designating stateless Ukrainians as members of other ethnic and national origin, to this day, we do not know how many of those who fought and died in the U.S. military were of Ukrainian descent. After World War II, many Ukrainians found themselves in foreign countries, often in Displaced Persons camps in Europe. The United States of America, Canada, Australia, and countries in South America accepted many post-WWII émigrés. For those coming to the United States, the dilemma continued – ethnicity was determined by country of birth (Germany, Belgium, France, etc. ), and establishing accurate statistical demographics of Ukrainian immigrants became a complicated issue. That issue still exists, which is one of the reasons the UAV Registration Project is so valuable. During the Korean conflict of the early 1950s, many of the new immigrants of Ukrainian origin with permanent immigration status were drafted into the US Armed Forces. Many were deployed to Korea; others were stationed overseas (in other foreign countries) and/or stateside. All of them served their new country well and with honor. More than fifty-three thousand American soldiers died in Korea, many ethnic Ukrainians among them. We need your help in honoring them. During the Vietnam War, young men were again drafted, while women volunteered. High war casualties included Ukrainian Americans. Nearly sixty thousand names are inscribed on the Vietnam Memorial Wall – USA in Washington, D.C. If those of you reading this appeal are a relative or friend of a Ukrainian American veteran whose name is inscribed on this memorial please inform us. You may want to visit http://www.virtualwall.org/iStates.htm to find the information of your lost comrade or loved one. Help us! We need to include them in the UAV Registration Project Volume II. Each Memorial Day and Veterans’ Day we stand united with all Americans, commemorating, remembering, and honoring American warriors past and present. We must bear in mind that by honoring American veterans – we also honor our own. IOCC Delivers Medical Aid to Assist Refugees Fleeing Kyrgyzstan!